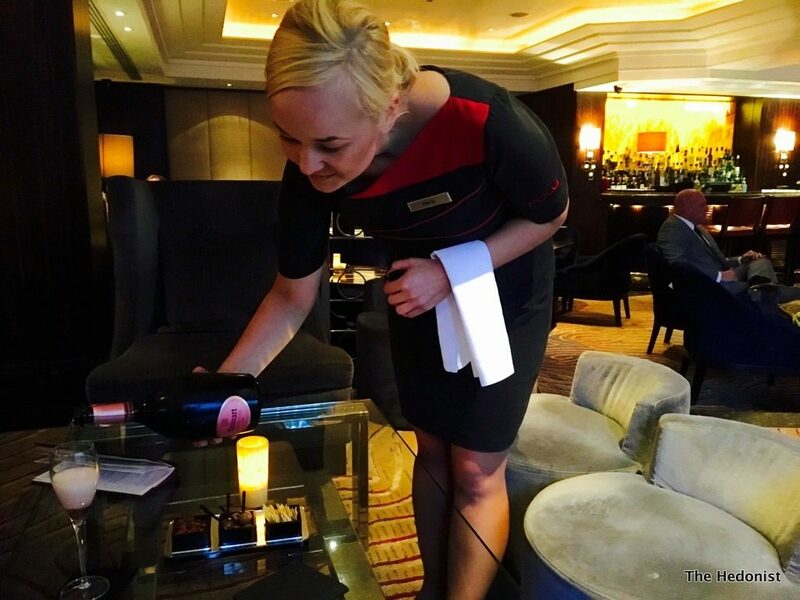 A good hotel bar should be glamorous and sleek, with a barman who can knock up a Ramos Gin Fizz without breaking a sweat and olives that could double as golf balls. 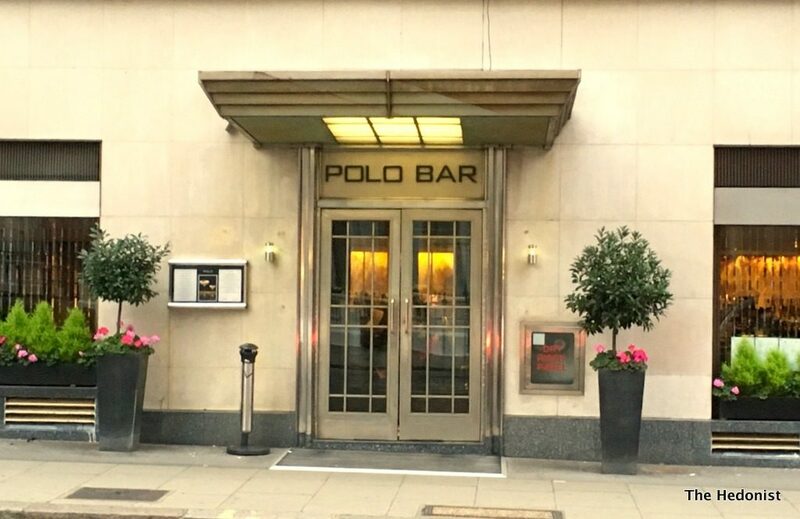 I’ve been circling around The Polo Bar at Mayfair’s Westbury Hotel for a while. Friends of mine had recommended it and I had popped in for a look when reviewing the hotel’s excellent Tsukiji Sushi restaurant a few weeks back. With Swarovski Crystal fittings, custom Fendi detailing and a worldly Bond Street clientele it looked like the sort of place a chap like me should hang. 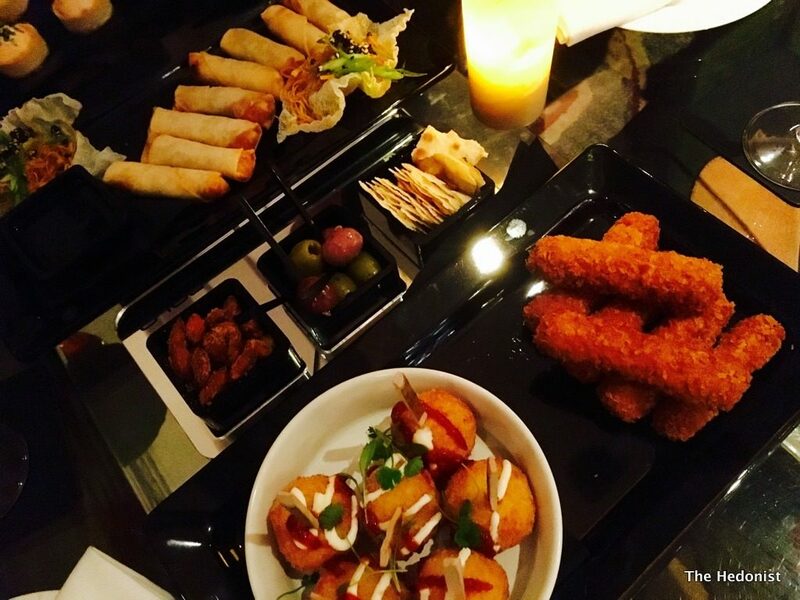 When an invite came through to go for drinks and canapés and to meet some Bond St locals it was a no-brainer. 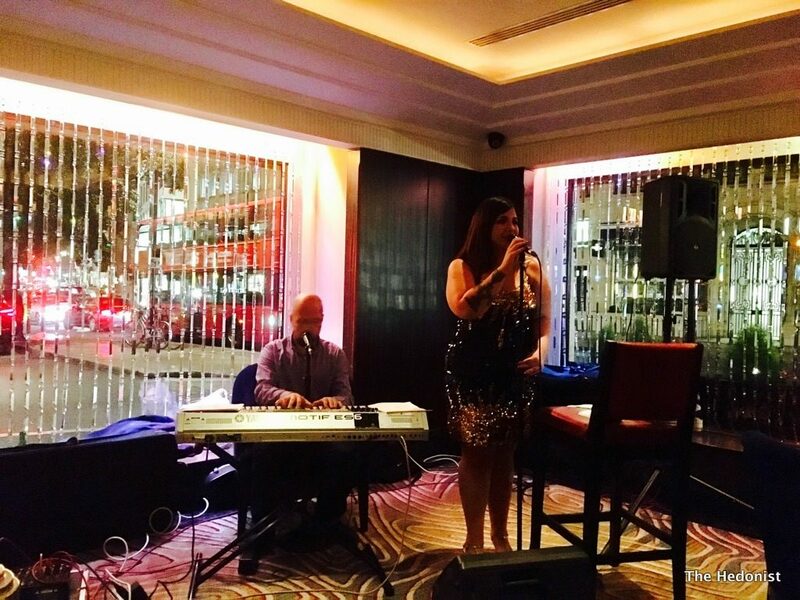 The Polo Bar has won Best Hotel Bar by the London Club and Bar Awards 2017 and London’s Bar of the Year 2014 by The London Lifestyle Awards but is clearly not resting on its laurels as my invitation was to the inaugural gig at the Polo by a singer called Tiger Lilly who has become the official ‘Artist in Residency’ at The Westbury Hotel. Tiger Lilly is a multi award winning indie pop artist from the suburbs of London hailed for her raw and emotive ‘heart on her sleeve’ lyrics and captivating live performances. 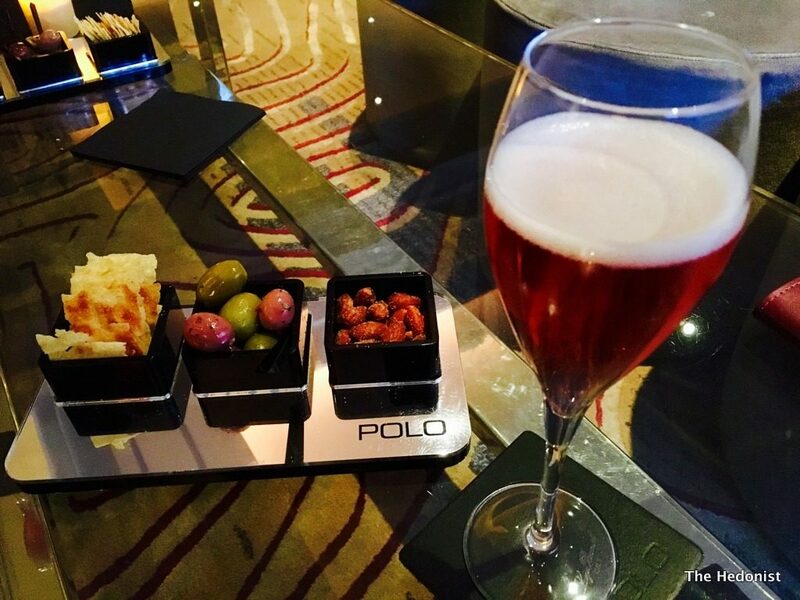 But before the music we started with drinks and canapés as designed by the hotel’s executive chef Brian Fantoni. The drinks menu has an enticing cocktail list mixing Polo Signature Cocktails with classics but whilst chatting to the charming Jimmy Choo girls we sipped on glasses of one of my favourite fizzes, Ruinart Rosé with its cherry and red berry notes. And then the canapés…which were much better than they needed to be. A deliciously smokey Red pepper and Ricotta tart with chilli, almonds and basil cress was first out. Soon followed by crisp Arancini, spicy Nduja croquettes, vegetable spring rolls and smoked salmon tartlets. 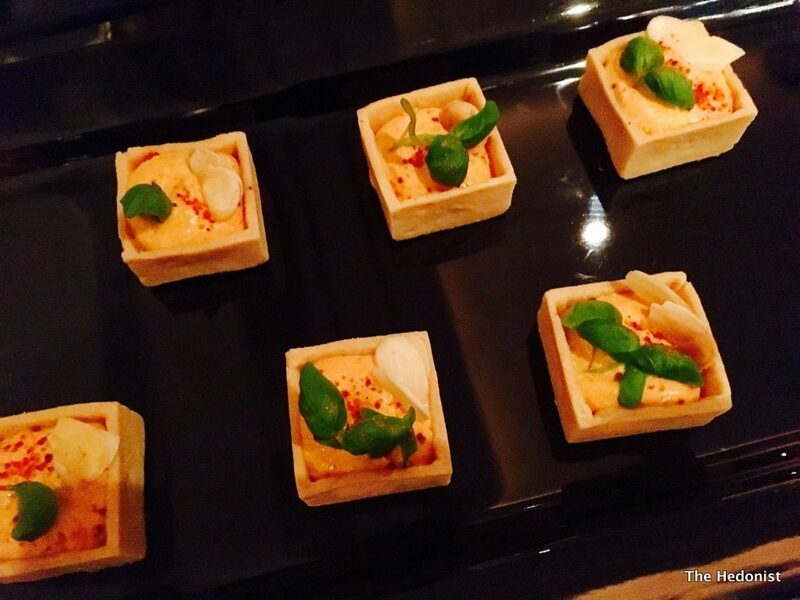 Too often canapés veer towards the bland, but these were really well-executed and full of flavour. 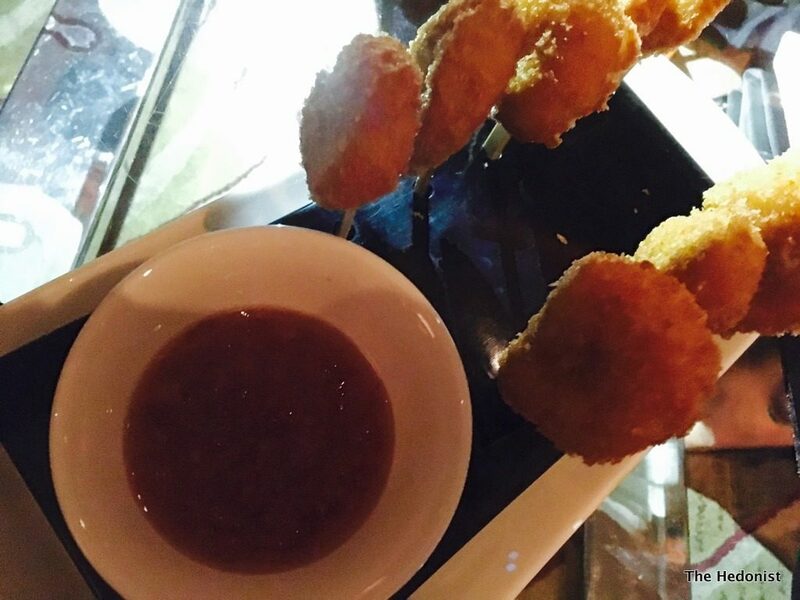 But my favourite were ‘lollipop’ Panko prawns with a sweet chilli sauce – irresistible! We were really well-entertained by Tiger Lilly and her pianist who mixed contemporary hits with pop classics – the Jimmy Choo girls were at the front dancing and singing along – and I can see the bar becoming an after-work drinks destination for people working locally on the Friday and Saturday evenings when the music is on. 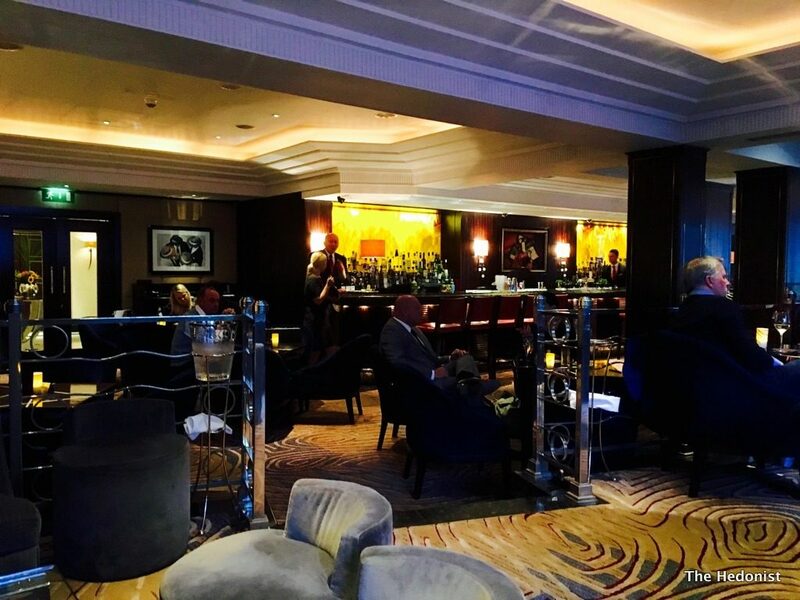 With great drinks, food and entertainment The Polo Bar is a great place to visit if your in London’s West End and want a touch of Mayfair magic.